Julian Assange said WikiLeaks didn't get John Podesta's emails from Russia | Circa News - Learn. Think. Do. WikiLeaks founder Julian Assange said Thursday that emails the organization released from Clinton campaign manager John Podesta were not given to them by Russia, USA Today reports. Democrats have claimed that the emails were obtained from Russian hackers and were fed to the website. Last month, the Department of Homeland Security and the Office of the Director of National Intelligence released a joint statement claiming they were confident Russia was the source of the leaks. Assange, however, denied any Russian involvement. "The original sources of the Podesta emails are Hillary Clinton campaign chairman John Podesta and his correspondents," Assange said in a statement. Normally, WikiLeaks doesn't talk about its sources at all. 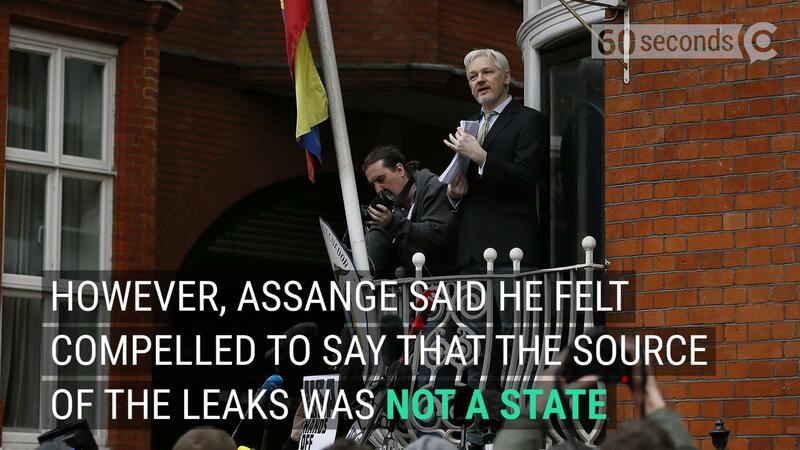 But Assange said he was compelled to say that no state had a role in helping the site gain access to the emails. Russian officials have also denied involvement. The denial has raised questions online about Assange's relationship with Russia. Some even suggested that Assange could be hinting the Podesta leaks were from the inside.